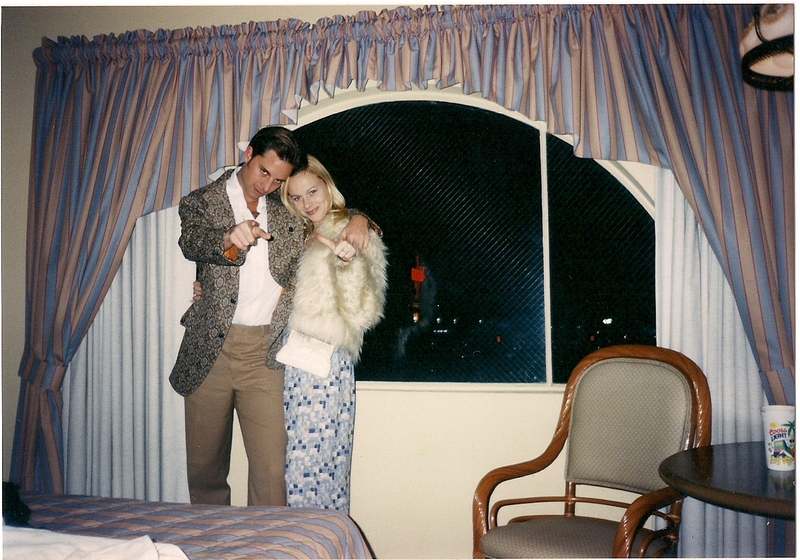 ﻿As I have posted before, in the early 90s, I began a long love affair with vintage clothing. And, as I wrote yesterday, one of my biggest attractions to my husband was his love of antiquated duds as well. This was extremely important to me because back in New Jersey, I had always gotten grief for my eclectic style. 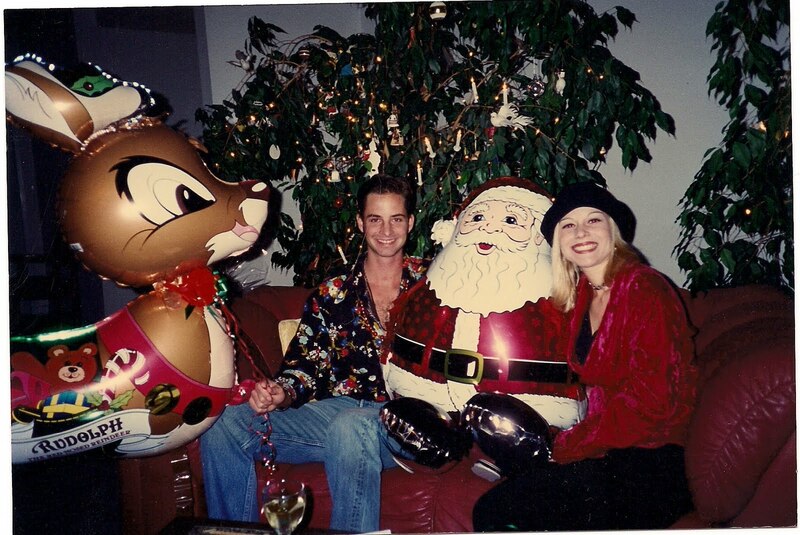 In the beginning, I would style an outfit around a cool vintage piece like a jacket, purse or jewelry; but, I also rocked my Betsey Johnson frocks, Levis and was a huge fan of Contemporary Casuals back then. I was – and still am – an equal opportunity shopper. ﻿As long as it looked good on me and represented my style, I was happy and I could care less what others thought. However, I was always astonished when I would go on a date and the guy would completely put down my bravura which, to me, represented my individuality. So you can imagine my surprise and happiness when I met my future husband Jason. On the night of our first pseudo-date [see my post dated Aug. 15, 2011 for the whole story], he was wearing a vintage Ikat print collared shirt with Levis. He looked gooood. The best part of the Ikat shirt was that it actually had its own name. Since Jason was also in the habit of buying all his clothes at second hand stores, this particular shirt had the name Martin Ponder hand-written in the label. Similarly, Jason had a bowling shirt with the name Chuck Brandt embroidered on the back. I guess you could say he had a lot of aliases. 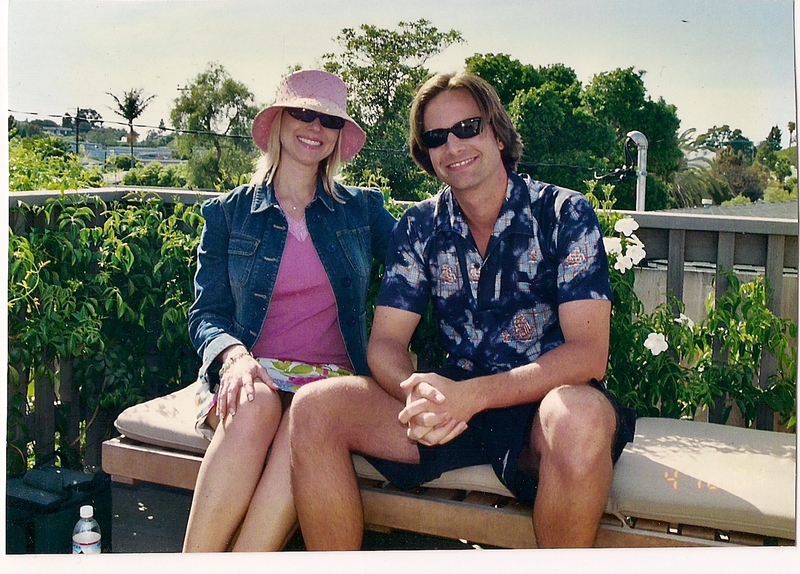 Once Jason and I had been dating for a while, we realized that one of our favorite past-times was to get out of the bubble and scour Los Angeles for our antique apparel. 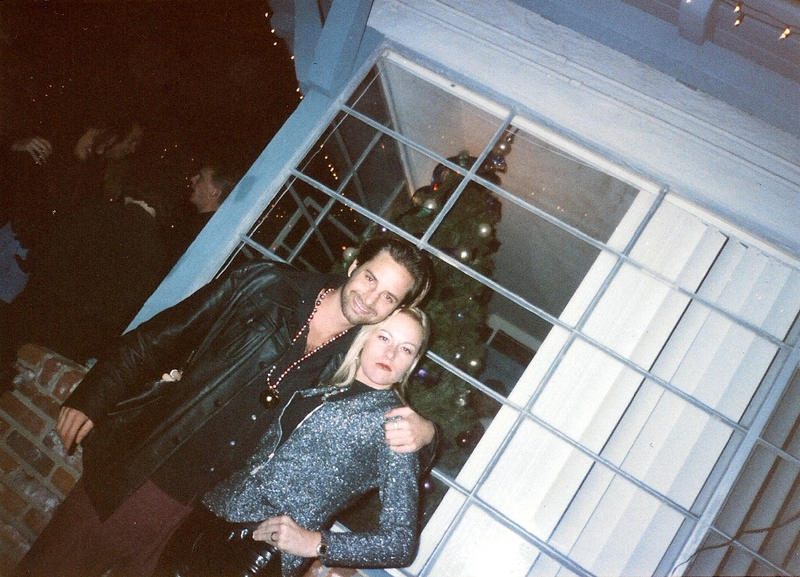 I even found a mate for Martin Ponder when I scored an Ikat print top named Martina Ponder – that was her given name. Some of our favorite shops were Wasteland and Melrose Trading Post – among many others --on Melrose Avenue; The Way We Wore; Aardvarks; Buffalo Exchange; and our absolute favorite…estate sales. Some of our treasures have been crazy cool leather and suede jackets, pink palazzo pants with intricate lace cut-outs (for me of course), a tapestry print blazer for Jason, too many polyester shirts to count but Jason’s absolute favorite was dark blue with the view of sailing ships through a smattering of clouds (so Peter Pan), dresses, slacks, hats, handbags and the list goes on and on. 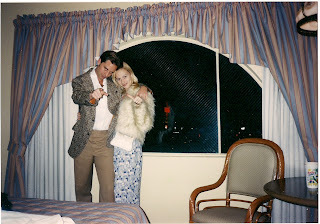 I can honestly say that I think we went a little too far because, two years into our dating – in 1996 – we were wearing almost 100% vintage clothes 24/7. Now this was the era of the movie “Swingers;” a time when there was a resurgence of swing dancing and dressing Rockabilly – and 50s-style became all the rage again. Although Jason and I primarily rolled with clothing from the 60s, 70s and 80s, we fit in nicely as vintage gained more and more popularity. As the Millennium approached, I decided to take my love of vintage one step further and turn it into a small business called Star 80. I continued to spend my weekends searching for second-hand clothes; but this time, I could be found at The Goodwill, Salvation Army or Out of the Closet. I was gathering an inventory of second-hand and vintage designer apparel to sell at my own store located within the Melrose Trading Post. I started off with pieces from the following collections: Yves Saint Laurent, Donna Karen, Sassoon, DKNY, Chloe, Ralph Lauren, Helmut Lang, Givenchy, Armani, Agnes B. and many, many more. Unfortunately, I pulled this hobby together right after September 11. It was a somber time and MTP saw all-time low attendance at the flea market. In addition, I did not have too much variety as far as sizing for the different apparel. They were all one of a kind, and I only had sizes 2 to 9. A lot of people liked my clothing, but they just couldn’t fit in a particular piece. Needless to say, I ended up with a lot of cool clothes but Star 80 fizzled out. But from this venture, my love of high fashion started to evolve. I truly began to appreciate the quality and cutting-edge styles of designer clothing. Just like my early years, I would still highlight a vintage piece, but I would style it with current trends for a fresher look. My days of polyester were a thing of the past. I wish I could have said the same about Jason, but it took him a bit longer to lose the all-vintage, all the time bug. Today, we are both in our forties and just can’t really pull off most second-hand styles anymore unless they are classic vintage. Also, with four decades under our belts, we are no longer the acceptation to that rule: If you were old enough to wear it the first time – like the 80s – you are too old to wear it the second time around.